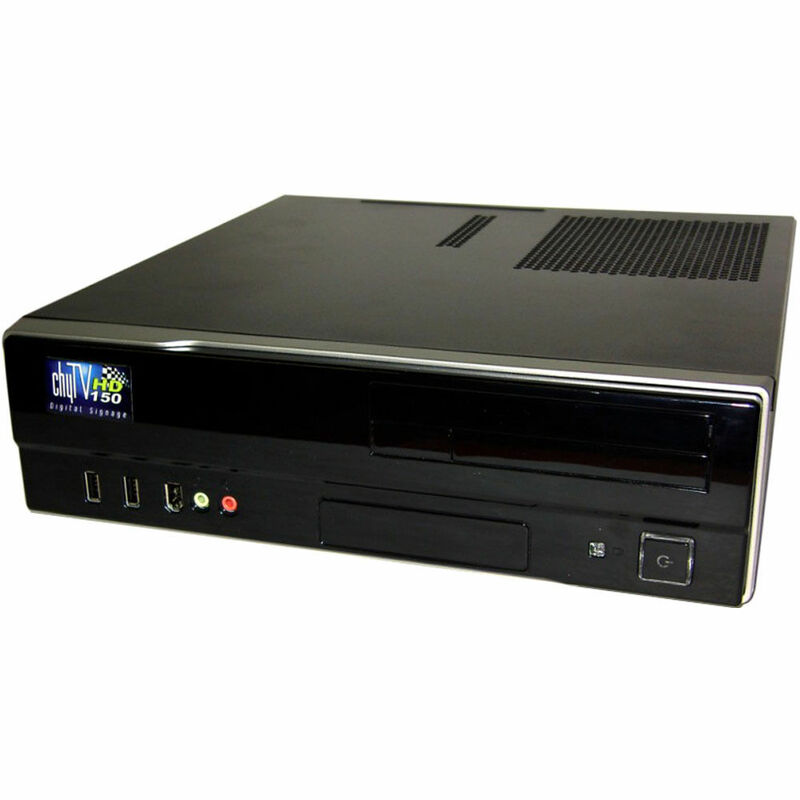 The Chyron ChyTV HD150 7A00322 is a high definition digital signage display engine. It features clip playout and ChyTV Tools software management. This display engine produces layered page elements, 3D dynamic text, 3D animated objects and broadcast quality effects. This high definition machine offers special effects creation such as pushes, fades and crawls for text. This is a digital signage high definition package for graphic video display. It allows such users as hotels, corporations, malls, universities and convention centers to produce quality material for information, advertising and emergency message display. Graphic animations can be imported from various file types such as MPEG clips, GIF, AVI, TGA sequences. This graphics engine is easy to integrate into an HDTV video system. It features and intuitive gui and display is possible via a dynamic display controller. ChyTV Tools software is utilized to manage graphic projects and will integrate with existing ChyTV devices. Dimensions (HxWxD) 3.5 x 10.75 x 14"
Box Dimensions (LxWxH) 80.0 x 24.5 x 8.25"